Constructed in 1937 through the federal Public Works Administration, the Ashland Grade School is a two-story, red brick building with flat roof, parapet, and stone detailing. Designed by Wichita architect Glen H. Thomas, the Classical Revival-style school reflects the evolution of traditional Progressive Era schools with its main formal entrance and provisional additions of auditorium, music room, and library. 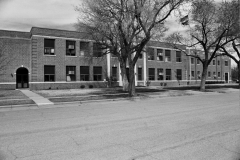 The structure is also similar to the Louisa May Alcott Grade School in Wichita, which Thomas designed in 1926. Nominated as part of the "Historic Public Schools of Kansas" multiple property listing, it is important for its architecture and its association with the development of Ashland. 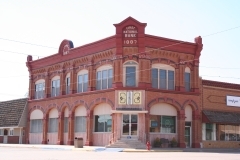 Organized in 1887 by James A. Blair and Oliver Ewart of Medicine Lodge, the First National Bank building was constructed in the same year to house the banking establishment. The two-story Romanesque-style building was designed by F.A. Weston and built by W.A. Ritchie and Company of Winfield. It operated as the First National Bank for about two years, then a state charter was obtained and the name changed to the Farmers and Stockgrowers Bank. The bank received a national charter in 1900 and the name changed to the Stockgrowers National Bank. It remained until 1933 when the stockholders did not want to comply with new national bank regulations, so the name changed to Stockgrowers State Bank. The establishment is still in operation. It was nominated for its contribution to the economic development of Ashland and Clark County as well as for its architecture. The Girl Scout Little House in Ashland was built in 1937 by laborers employed through the Works Progress Administration (WPA), with Ed Burr serving as the project supervisor. The Little House was built to serve the Ashland Girl Scout troop, which formed in about 1924 some 12 years after Juliette Gordon Low established the first American Girl Scout troop in Savannah, Georgia. It was erected in a residential neighborhood on land donated by Mr. and Mrs. W. R. Nunemacher. The local Girl Scout building committee raised funds to complete the project from individuals, businesses, churches, and community groups. 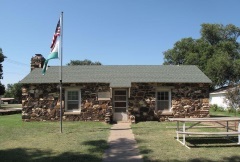 The small stone building was dedicated to the community in February 1938, and it has served the Girl Scouts and the Ashland community ever since. The small building is made of locally quarried stone and exhibits the Rustic style typical of New Deal-era buildings. It was nominated as part of the "New Deal-Era Resources of Kansas" multiple property nomination for its local significance in the areas of social history, government, and architecture. The Stein House was nominated for its architectural significance as one of fewer than 100 extant Lustron houses in Kansas and the only one in Clark County. 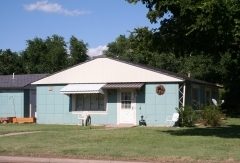 Throughout the 1930s and 1940s, architectural pundits heralded the prefabricated house as the wave of the future, and during the post-World War II years the Lustron Corporation manufactured an all-steel house. Constructed in 1950 for Dr. Stein, the Stein House is an example of the Lustron Westchester Deluxe Plan with a metal surf blue exterior. The plan was modified and expanded to accommodate the Stein's growing family and included a Lustron garage. 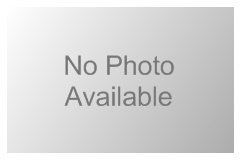 Merlyn Weidenheimer of Kinsley was the contractor.